In the preliminary round of Men's Olympic Hockey in Sochi, the U.S. team defeated the Russians 3-2 in overtime. T.J. Oshie had a legendary performance for a total of four goals in overtime and scored the winning goal in the eighth round of an overtime shootout. 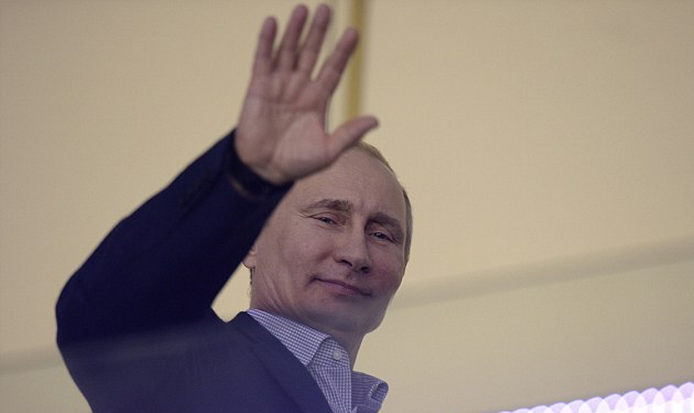 Even the Russian President Vladimir Putin attended the game. In the image above he can be seen waving - yet on his face he has a mild disgust expression. The hand gesture is a conscious one - however his facial nonverbal is a subconscious display. Whenever there is a conscious-subconscious body language disparity, it is one initiated subconsciously which reflects the true emotional tone.